We hear sounds every day, from the cows mooing in a pasture to the hum of cars sitting in traffic. Have you ever wondered how sound works, though? How it travels to you and how your brain makes sense of it? We’re talking about acoustics — the science of sound. Sound moves in waves, but what creates those waves? Vibrations. When you speak, sing or shout, your vocal cords vibrate and create waves when they meet what’s called an elastic medium. Air, for example, is an elastic medium. A helpful way to picture the movement of sound waves is like the ripples on water. When you toss a rock into the water, it creates ripples that travel throughout the pond or lake. A similar effect happens with sound. The vibrations pass through air particles, creating a ripple effect as they travel from particle to particle. The rate of these ripples would be called a hertz, which measures the frequency of sound waves. The same effect happens when sound vibrations move through other mediums a wooden door or a sheet of metal. In some cases, depending on the intensity of the vibrations, the sound waves can cause a piece of glass to shatter, or even damage our eardrums. Sound vibrations become noise because our ears can detect changes in pressure. When those sound waves are moving through air particles, for example, your ears note the change in air pressure. In response, your eardrum vibrates voluntarily — not because the waves are hitting it. Your cochlea, which is a part of your inner ear, then creates nerve impulses that your brain interprets as sound. Sounds often seem different for people because everyone has a different sense of hearing. Most of the time, however, what you hear is similar. A mosquito, for example, will likely always have a high-pitched buzz. Some sounds, like infrasound and ultrasound, are noises we can’t hear. Humans have used these sounds, though. For example, infrasound was used in World War I to find and destroy enemy artillery, which generated infrasound signals, while ultrasounds are used in the medical field. We don’t always welcome a herd of sound waves. Hearing your neighbor’s collection of Metallica songs on repeat may not be your ideal Saturday morning, while some businesses don’t want their confidential discussions to travel next door. Understanding how sound works is our bread, butter and milk at Soundproof Cow, so we’re able to use these factors to recommend soundproofing and sound absorption materials that’ll leave your room as quiet as a Zen garden. What’s sound absorption though? It’s a bit different than soundproofing. Sound absorption is about handling sound vibrations, such as echoes, from the same room. Musicians are probably the first profession that comes to mind when you think about sound absorption, but television shows and films with voice acting also need a room with great acoustics. 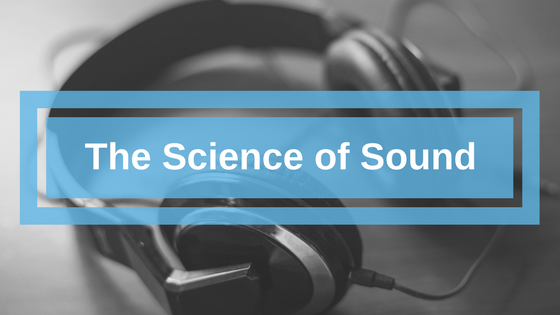 The science of sound is an intriguing subject, and studies about its effect on the world are only growing. 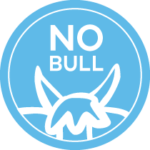 So, if you want to stay up-to-date on the latest news, and even tips for soundproofing a room or venue, subscribe to our No Bull Bulletin. We’ll send you everything you need to stay in the loop, no matter where you’re roaming in the pasture.